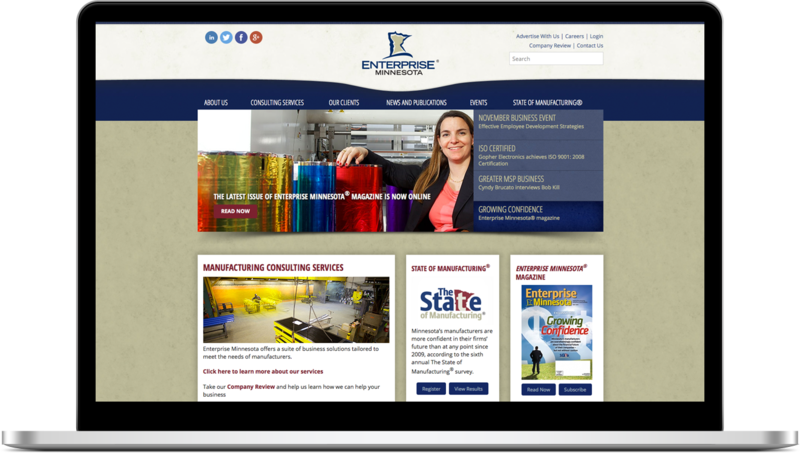 We worked with Enterprise Minnesota, a consulting organization that helps manufacturing companies become operationally efficient and well positioned to grow profitably, to redesign their content-heavy website. 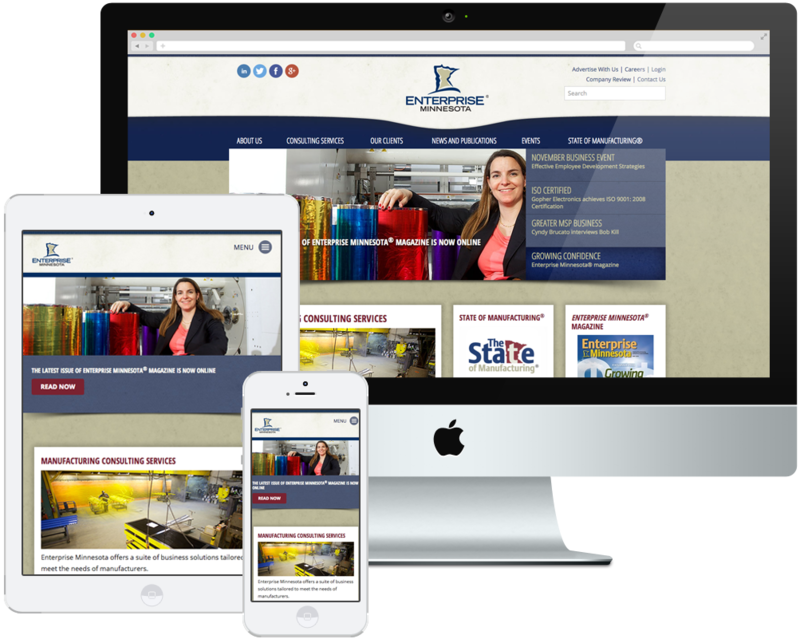 We started with a thorough content inventory and developed a strategy to help Enterprise Minnesota better serve their visitors and clients. The new design is enhanced with an intuitive navigation structure and a more sensible hierarchy within the content of the site. 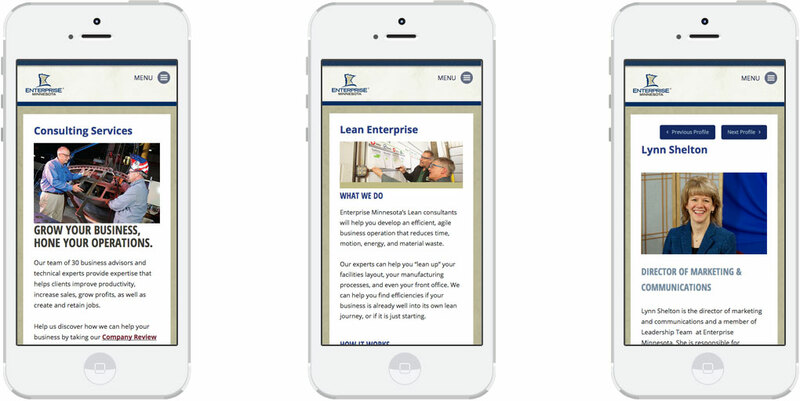 We designed and developed a responsive website, which helped reflect Enterprise Minnesota's expertise in a usable, content-rich platform.